The snow-packed Northern Rockies pass through Wyoming, Montana, and Idaho, making these Inland Northwest states a great destination for a winter vacation. Two of the West's major ski resorts, Sun Valley and Jackson Hole, fall into this territory, as do many other great ski mountains. The national parks and forests of Idaho, Montana, and Wyoming also provide unique wintertime experiences for the adventurous traveler. If there's a way to enjoy the snow, you'll find it in Idaho's Sun Valley region. One of the West's great ski resorts, Sun Valley Resort, offers downhill skiing and snowboarding on Bald Mountain and Dollar Mountain. Nearby Sawtooth National Forest is also a great playground for snow lovers, with miles of trail open to snowmobiles as well as Nordic skiing, snowshoeing, Alpine skiing, and snowboarding. For a different winter experience, try paragliding or fly fishing. Ketchum and Sun Valley also host many snow sports events and competitions throughout the winter. Winter is a special time in Yellowstone National Park. The crowds are gone, yet the wildlife remains out and active. The geysers, hot springs, and fumaroles create fascinating mist and ice effects during the winter chill. Accommodations at the Mammoth Hot Springs Hotel and the Old Faithful Snow Lodge remain open and accessible by snowcoach and snowmobiles. Special wildlife watching day trips and packages are available. All of these combine to make Yellowstone National Park a great winter destination. Whitefish is a fabulous destination for outdoor lovers all year long, but winter is especially fun. The mountain town hosts several wintertime events, including the Whitefish Winter Classic and the Whitefish Winter Carnival. The Whitefish Mountain Resort at Big Mountain offers every kind of fun you can possibly have in the snow, along with great food, lodging, shops, and other resort services. Whitefish is also convenient to Glacier National Park's western entrance. While the weather shuts down much of the park's roads and facilities, some remain open allowing access to cross-country skiing and snowshoeing. Whitefish, Montana, is a stop along Amtrak's Empire Builder route. 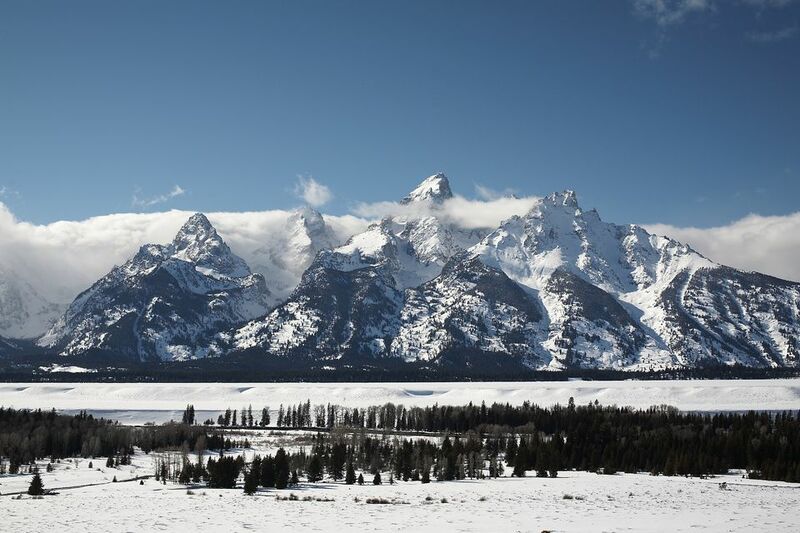 Winter visitors to Jackson, Wyoming, can enjoy not only the world-famous Jackson Hole Resort, but the snowy playgrounds at Grand Targhee Resort, Grand Teton National Park, and Bridger-Teton National Forest. You can try snowshoeing or snowmobiling on a ranger-guided trip in Grand Teton. Bridger-Teton National Forest offers miles of groomed and ungroomed ski trails, snowmobile access, ice climbing, and sled dog mushing. After an active day enjoying snow sports and scenery, return to the many great accommodations and entertainments available in the town of Jackson and nearby resort villages. Winter brings both outdoor and indoor fun to Cody, Wyoming. The recently-renovated Sleeping Giant Ski Area offers downhill skiing. Cross-country skiing and snowshoeing trails are available nearby, including the Wood River Valley Ski Touring Park in Meeteetse and the North Fork Nordic Trails located near the East Entrance to Yellowstone National Park. Finally, Cody is a great place for ice climbers, who come from around the world to take advantage of the area's many frozen waterfalls. When you're ready to get out of the cold, spend a day at the amazing Buffalo Bill Historical Center or an evening enjoying live entertainment at the Cody Theatre, the Wynona Thompson Auditorium, or Cassie’s Supper Club and Dance Hall. Located just a short drive from Sandpoint, Schweitzer Mountain Resort is a fabulous place for year-round recreation. Winter brings downhill skiing as well as other snow sports, such as tubing and snowshoeing. Schweitzer Village is a hub of fine accommodations, restaurants, and shops. Schweitzer Mountain overlooks Lake Pend Oreille and the town of Sandpoint, providing particularly scenic conditions. Cross country skiing, snowshoeing, and sledding are all available in nearby Farragut State Park. Sandpoint, Idaho, is a stop along Amtrak's Empire Builder route.